Khiri Travel aims to open new markets for Spanish speaking B2B tour operators who wish to discover authentic local travel in Thailand, Vietnam, Sri Lanka, Myanmar, Laos, Cambodia, Indonesia and the Maldives. Multiple award-winning Khiri Travel is bringing 23 years of Southeast Asian DMC experience to Madrid for FITUR, 18-22 January. At the event, Khiri will be represented at booth 6A35 by innovative managers, Gonzalo Gil Lavedra, General Manager of Khiri Travel Sri Lanka & Maldives, and Florencia Allo Moreno, Country Manager of Khiri Travel Vietnam. They have extensive DMC management experience in Southeast Asia combined with in-depth knowledge of their current destinations, Sri Lanka and Vietnam(read more about Gonzalo and Florencia below). Florencia says that Khiri Travel distinguishes itself from other DMCs in Asia by focusing on in-depth local knowledge, highly informative local guides and showing natural community life in inspirational settings. For example, in Hanoi, Florencia has introduced a back lane tour of the Old Quarter where guests see Tai Chi being practised and discover amazing Hanoi street food snacks such as baguettes, grilled pork and noodles and ‘egg coffee’ in hidden cafes. In Sri Lanka, Gonzalo has introduced informal six-a-side cricket for guests in the 500-year-old heritage city of Galle in the south coast followed by a gin and tonic and a tour of the ancient ramparts overlooking the Indian Ocean. When Khiri does visit iconic locations, they do it right. In popular places such as Angkor Wat in Cambodia, Shwe Dagon Pagoda in Myanmar and the Grand Palace in Bangkok Khiri guides take an alternative approach. To date, Khiri Travel’s main B2B markets have been Netherlands, UK, Germany and the USA. “We feel it’s the right time to show Spanish and Portuguese speaking markets the amazing cultural diversity of Asia,” said Gonzalo. In the last five years, Khiri Travel has won awards such as “Best DMC Worldwide”, “Best Travel Agency – Indochina”, “Best Responsible Tourism Website”, “Inbound Travel Operator of the Year”, and the Pacific Asia Travel Association Grand Award for Heritage and Culture — for a tented camp project in Cambodia. A list of recent Khiri Travel awards can be inspected here. For an appointment to meet Khiri Travel’s Gonzalo or Florencia at FITUR, email travel.trade@khiri.com. “RUN & VISIT” – SMS FRANKFURT Group Travel just lauched their latest project in Frankfurt in March 2016. The new sightseeing concept is made for runners. 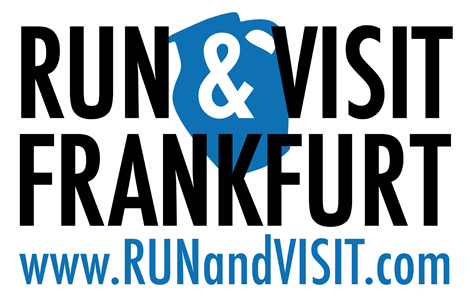 RUN&VISIT Frankfurt offers four different sightseeing routes in Frankfurt. All sightseeing runs can also be tailormade and include the whole Rhine-Main area as well as the “Stadtwald” city forrest next to the Frankfurt International Airport. The basic sightseeing run takes you one hour on a 7-9km run along the highlights of Frankfurt. Results from a recent global Destination Index, compiled by the leading Global DMC and Event Management Company, Pacific World (www.pacificworld.com), have identified Italy and France as the most popular countries in Europe for meetings and incentives. Improved transport links and investment in infrastructure resulting in the opening of a number of new hotels and venues were factors accountable for the fact that Milan and Paris have both been voted as most popular European cities for Meetings and Incentives. Emirates flying daily from Dubai to Bologna from November 2015, has made Bologna’s Marconi Airport the fourth largest in Italy for global connections. From February 2016 Verona will accommodate three flights a week from Paris Orly International Airport, operated by Transavia, Air France’s low cost company. Emanuele Pinna or Cecile Dubeau are available for further comment. Please contact Pamela Wils (Pamela.wils@cut-coms.co.uk) to arrange an interview.